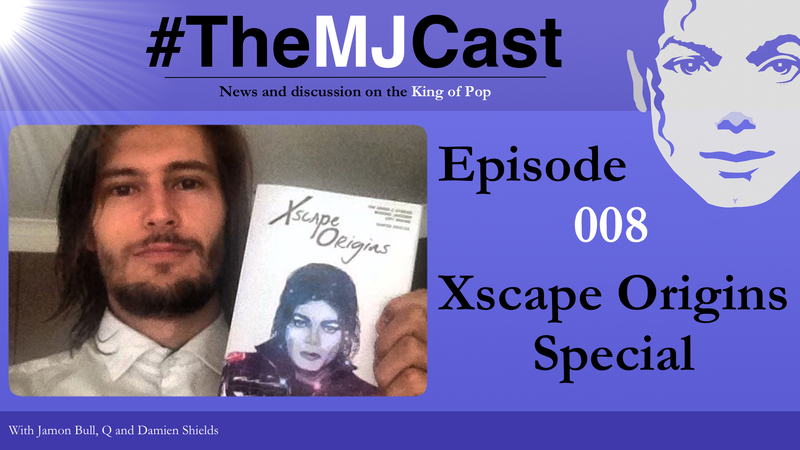 On this special episode of The MJCast, Jamon and Q interview acclaimed author Damien Shields on his new book Xscape Origins. Topics include Damien’s writing process, his collaborative partner James Alay’s contributions to the project, Damien’s experiences talking with Michael’s collaborators, a never before heard story about Damien’s ill fated interview with Michael Jackson himself. We also take the opportunity to capture some of Damien’s fascinating opinions on a range of Jackson related topics. As a special treat for listeners of The MJCast, you will also hear an exclusive audio snippet of an interview Damien conducted with C. J. DeVillar (Michael’s bassist and recording engineer during the early Invincible sessions) and a never before released version of the song She Was Lovin’ Me which was co-produced by Cory Rooney and Taryll Jackson. As explained on Damien’s website, “Xscape Origins pieces together stories about the real Michael Jackson; the musical genius at work. As told by the songwriters, producers, musicians, and technicians who worked intimately with him in the studio, and featuring a touching foreword written by his longtime engineer Matt Forger, the book takes you inside the recording studio, delivering captivating fly-on-the-wall insights into the creative process of the greatest artistic visionary the world has ever known”. At its heart, Xscape Origins delves into the history of the eight original Michael Jackson songs which were remixed for the 2014 album Xscape, released in partnership between Sony Music and the Estate of Michael Jackson. Reading Damien’s work will give you a level of knowledge that will allow you to appreciate the songs in a much deeper way. If it’s Michael’s artistic process you love learning about, look no further than this fantastic book. It’s undoubtedly the best book on Michael’s art that I’ve ever read. Get your physical copy of Xscape Origins today at xscapeorigins.com. Xscape Origins is also on Amazon, iBooks and Google Play as eBooks. Read Damien’s latest Michael Jackson related articles at damienshields.com. Chris Cadman’s book series ‘The Maestro’ Volume’s I and II, excellent reference books on Michael’s creative work. Keith Murphy’s fantastic Vibe article on Michael’s final (and still mostly unreleased) musical work. Read ‘Redemption Songs’. This entry was posted in Specials, The MJCast, Uncategorised and tagged Books, Damien Shields, Michael Jackson, Special, Xscape Origins by Jamon Bull (Admin). Bookmark the permalink. Enjoyed this podcast today Damien Shields, author of Exscape Origins. Thank you Damien for the sacrifices you made; the time you spent writing this book; and the world travel, that enabled you to have extensive interviews with those who worked closely with Michael and provided the magic he needed for his music. I love all Michael’s albums. Thanks for uncovering the origins of Exscape. I brought your book today. Am only up to chapter 2. At a time when the Leaving Neverland fall out is occurring, it’s good to just get back to finding out more about Michael Jackson.